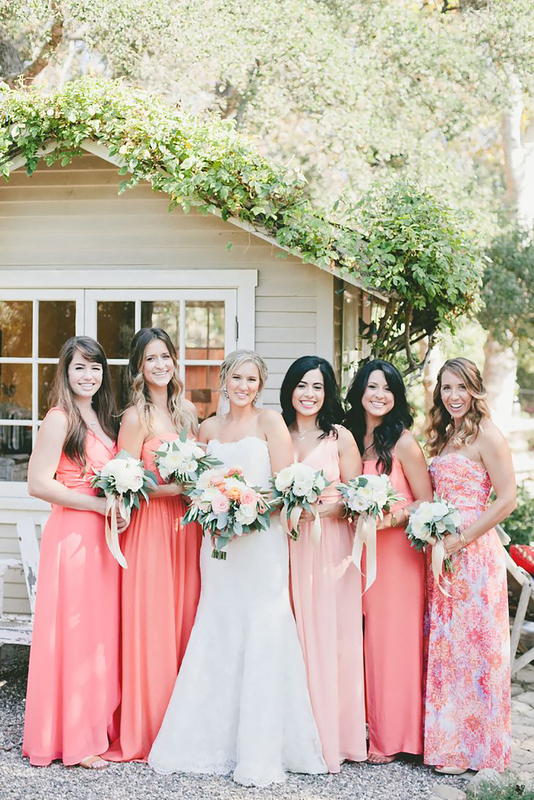 See all the ways that you could have the perfect Living Coral wedding theme on your big day. The colour experts at Pantone have announced their top colour choice for 2019 and it’s the beautifully fresh and romantic Living Coral. 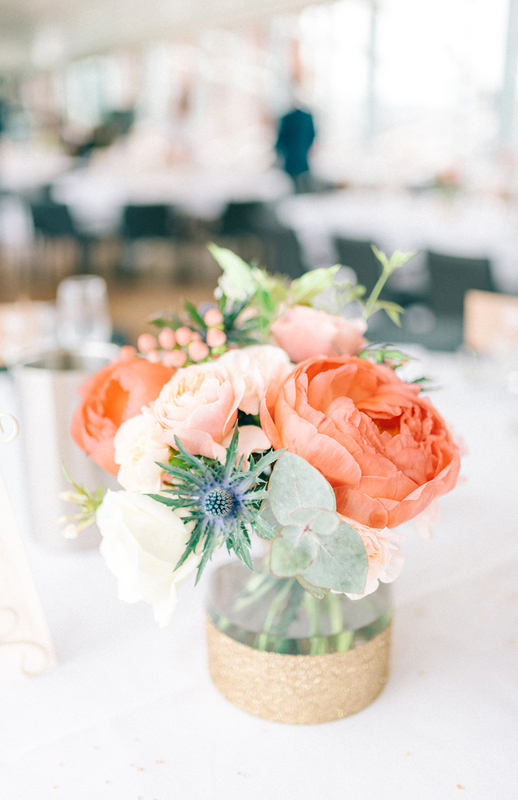 We’ve been head over heels for coral wedding decorations and details for a long time and now, this shade is our new favourite. 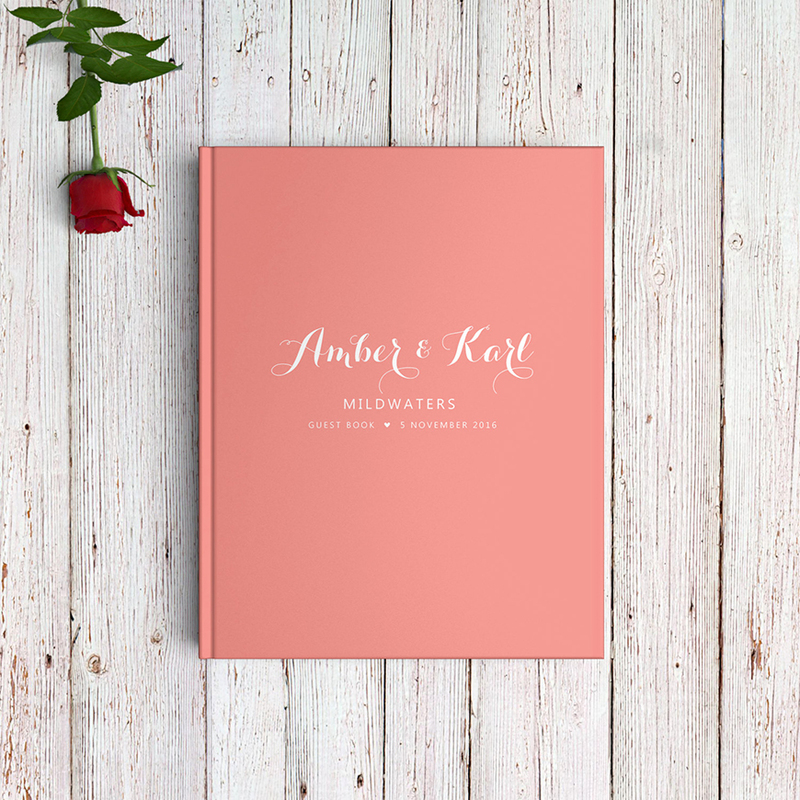 We’ve gathered together our favourite Living Coral wedding ideas for you so that you can include this gorgeous colour in your own wedding. So, what’s so special about Living Coral? 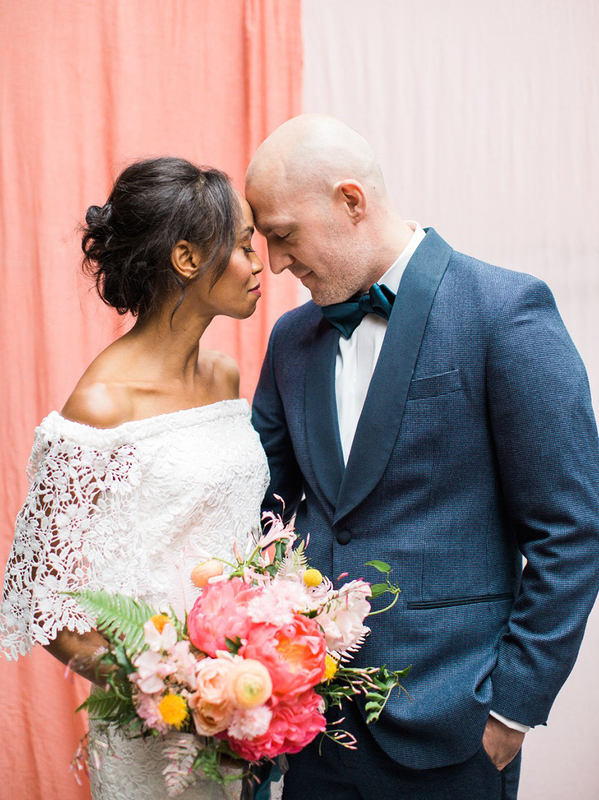 Pantone themselves say that the shade is “an animated and life-affirming coral hue with a golden undertone that energises and enlivens with a softer edge” and that sounds perfect for weddings. It’s a bright-but-elegant colour and it’s perfect for any season. Team Living Coral with yellows and pinks or greens and whites in spring and summer or opt for blue/grey additions if you’d prefer a slightly moodier palette. This adaptable colour even works with bold reds and deep blacks in winter so you can be as adventurous with your colour scheme as you like! Keep your wedding ring in a stunning ring box in Living Coral. These beautiful boxes are the perfect accessory for wedding day photos. Go bold with your floral and create a wild arch with statement colours. This would look great in your ceremony or behind your top table. Let your maids wear this on-trend shade and keep your look modern with mix-and-match styles, particularly if you’re planning a relaxed wedding with a laid-back vibe. 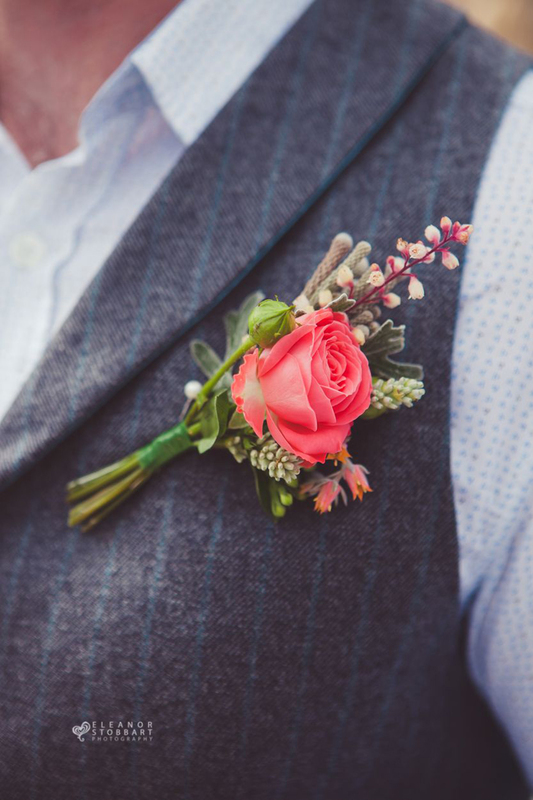 Buttonholes are one of the best ways to bring colour to the groom and groomsmen and a bold bloom is really all you need. 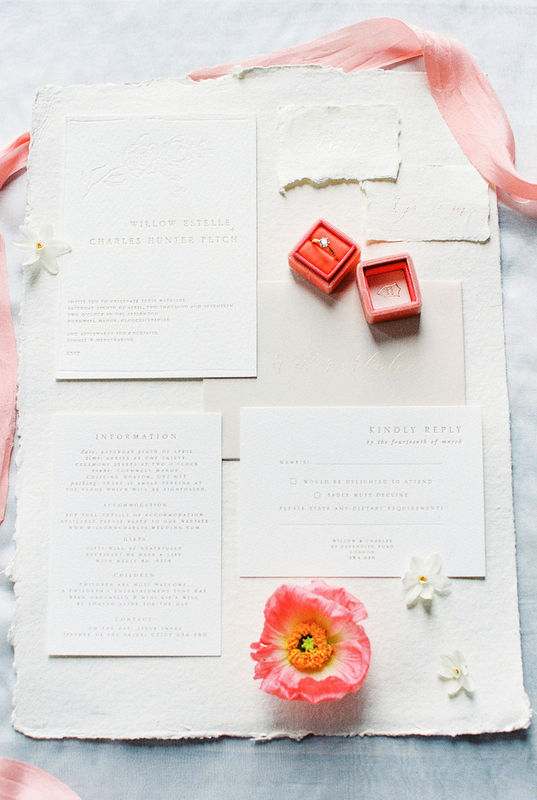 Give you guests a hint of what’s to come with your wedding invitations. A colourful design is sure to attract everyone’s attention. 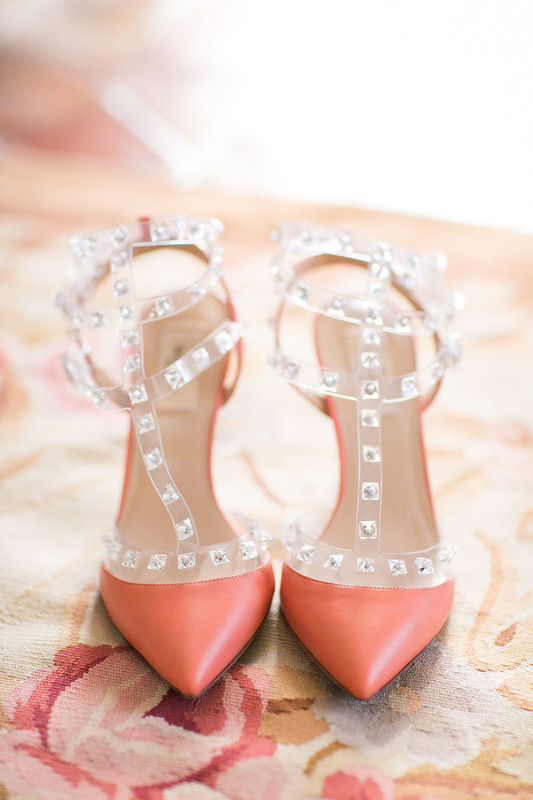 We love to see colourful shoes peeping out from underneath wedding dresses and you just know that these would be worn time and time again after the big day. 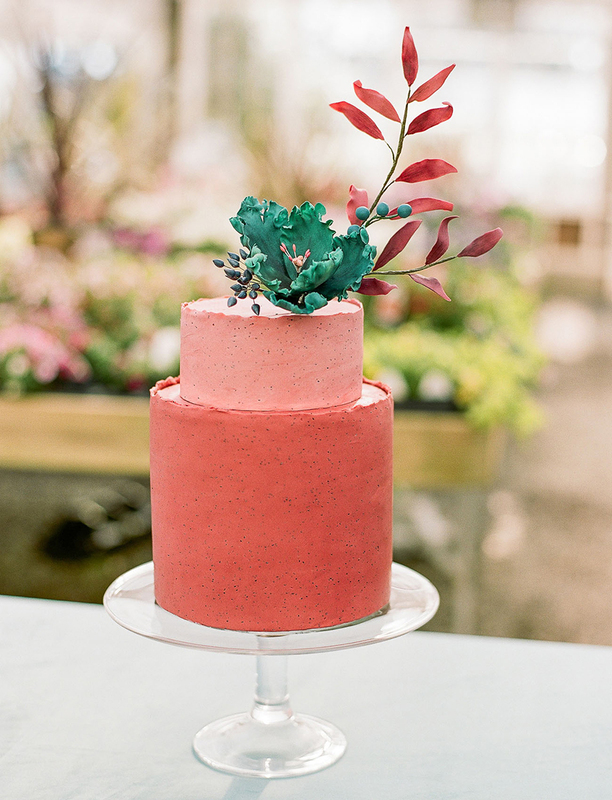 White might be the traditional choice but bright cakes are perfect for modern, contemporary weddings. This cool two-tier design is a really stylish option. Bring a little Living Coral to your wedding breakfast or drinks reception with coloured cocktails that are sure to taste as good as they look. 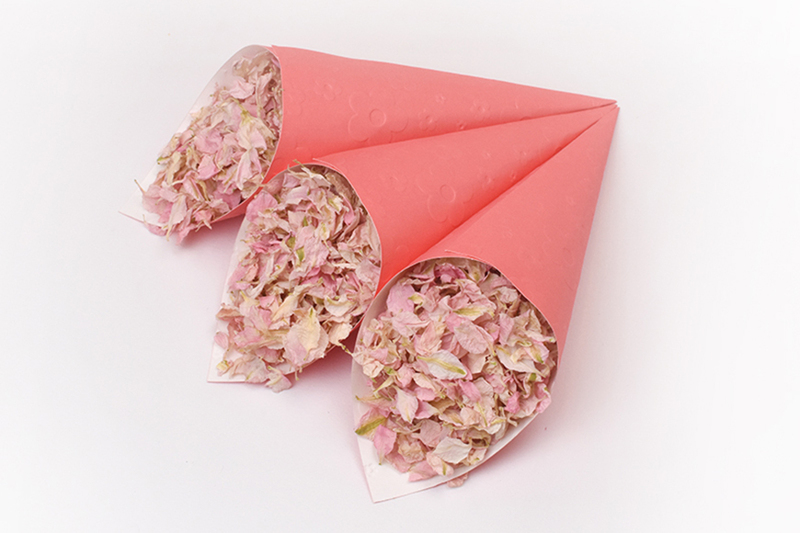 If you’re looking for an easy craft project, confetti cones should be top of your list. 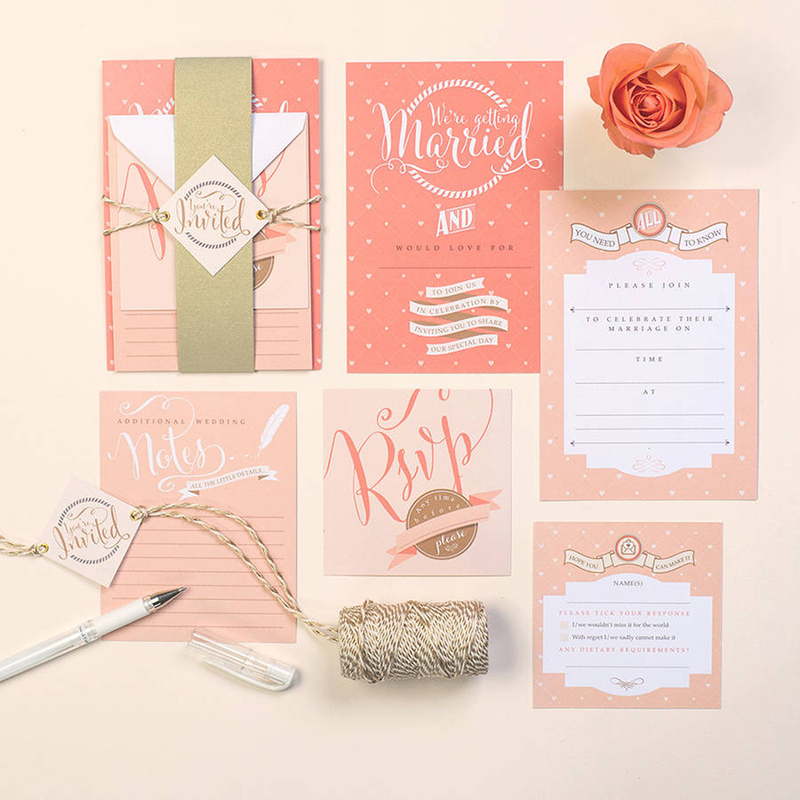 Made with pretty Living Coral paper, these are a really fun addition to your day. Bring a real pop of colour to your wedding with a vibrant backdrop. 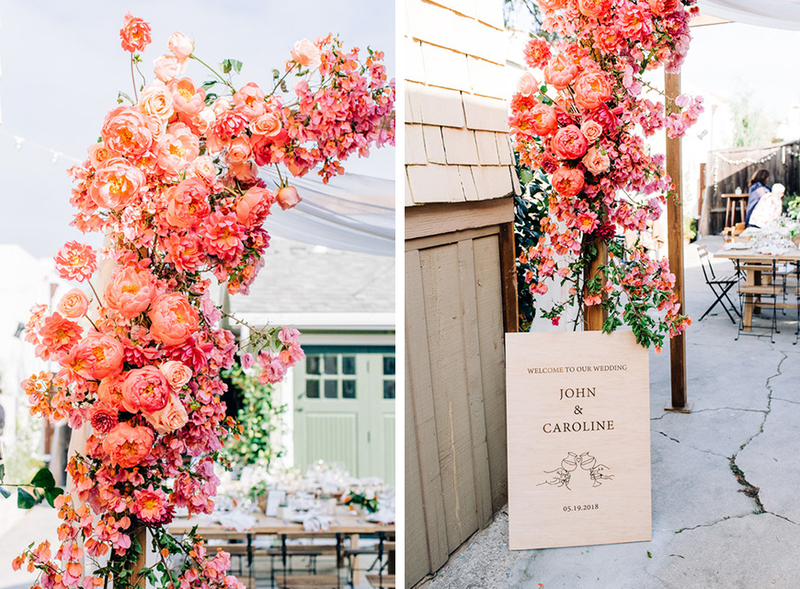 Hang yours in your ceremony room, behind your top table, or even as a backdrop for photos. 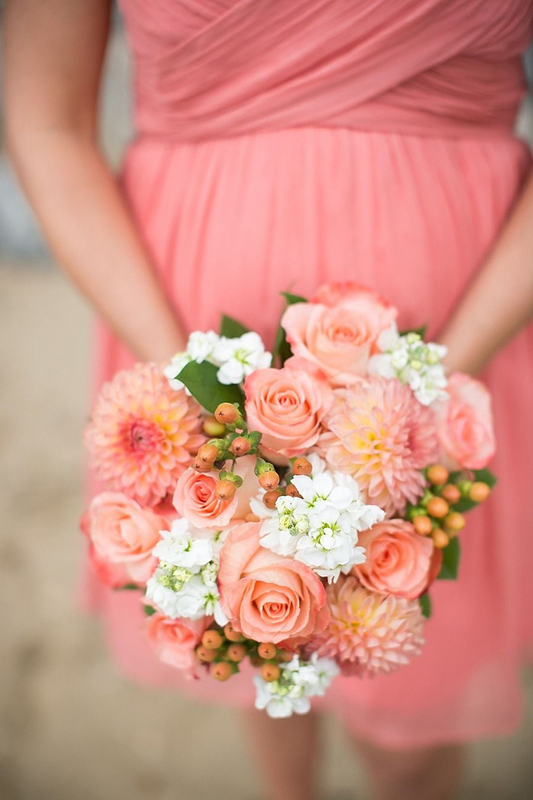 These super-cute bridesmaid bouquets would look amazing in any season. The berries make an ideal accessory too. 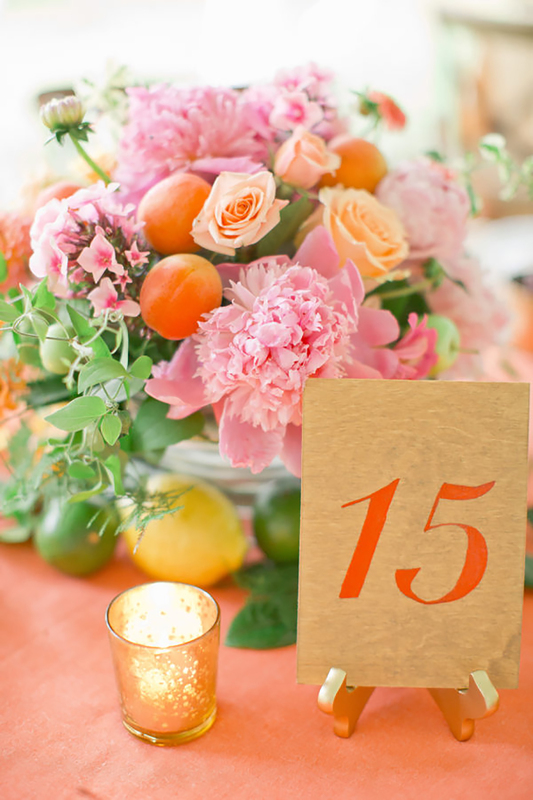 Make your own table numbers with some wooden blocks, stencils and some Living Coral paint. Perfect for rustic weddings! 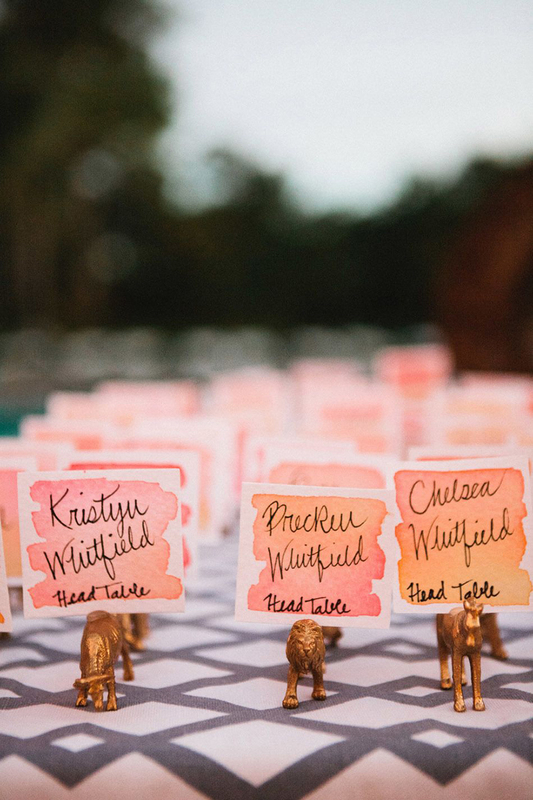 These fabulous watercolour seating cards will create a real display of colour. Choose some quirky card holders to match your theme. When you’re working with such a stand-out shade as Living Coral, your tablecentres don’t need to be big to make a big statement! Simple arrangements are really all you need. 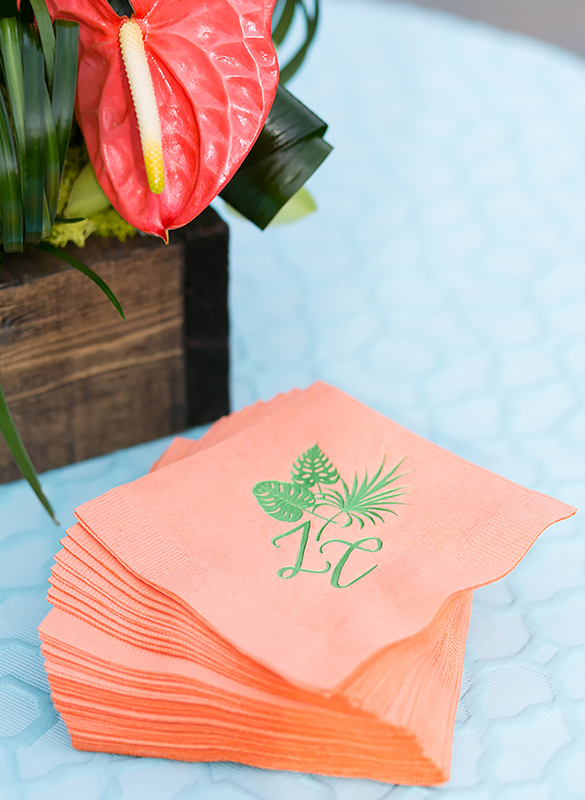 Personalised napkins add a lot of colour to your drinks reception, particularly when they’re in this luscious shade. 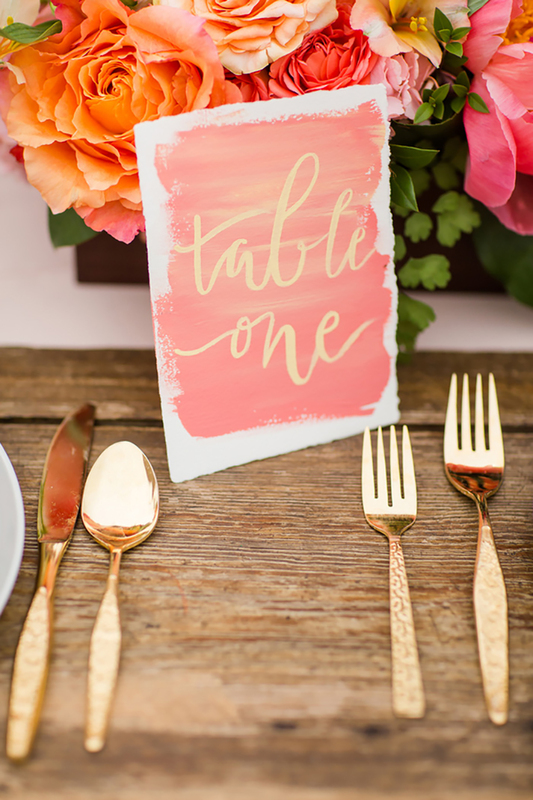 Living Coral is just wonderful with gold so add in coloured cutlery or gold-rimmed glassware to your wedding tables. Don’t forget your guest book! This coloured version will be a brilliant memento of your wedding day. 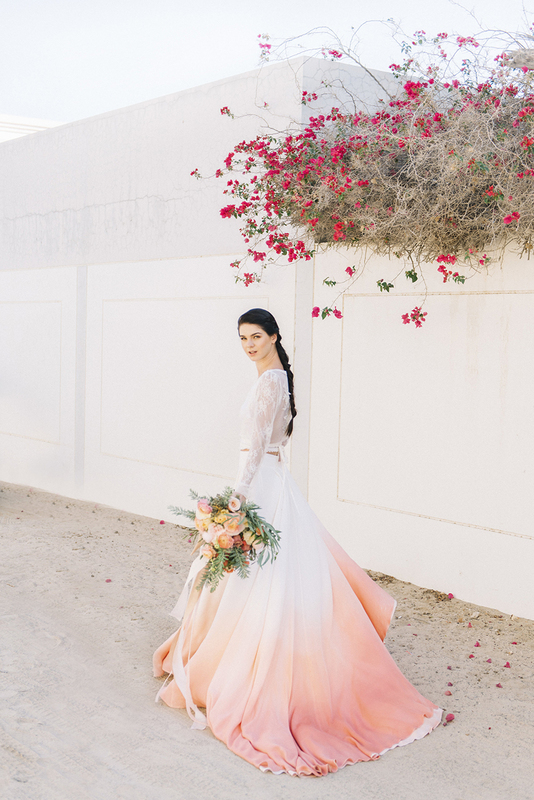 If you’re feeling brave or love the thought of a wedding dress with a difference, this ombre, dip-dye style could well be ‘the one’ for you. 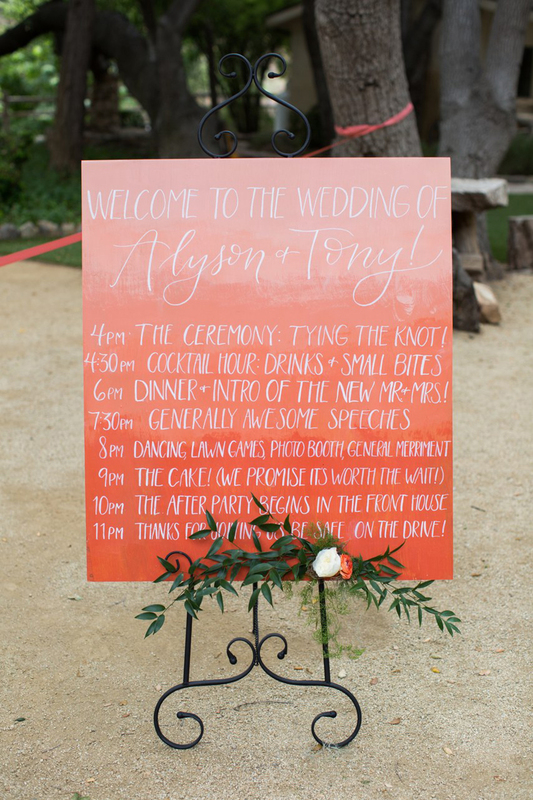 We love wedding signage and what could be better than this? Your guests won’t miss a thing! 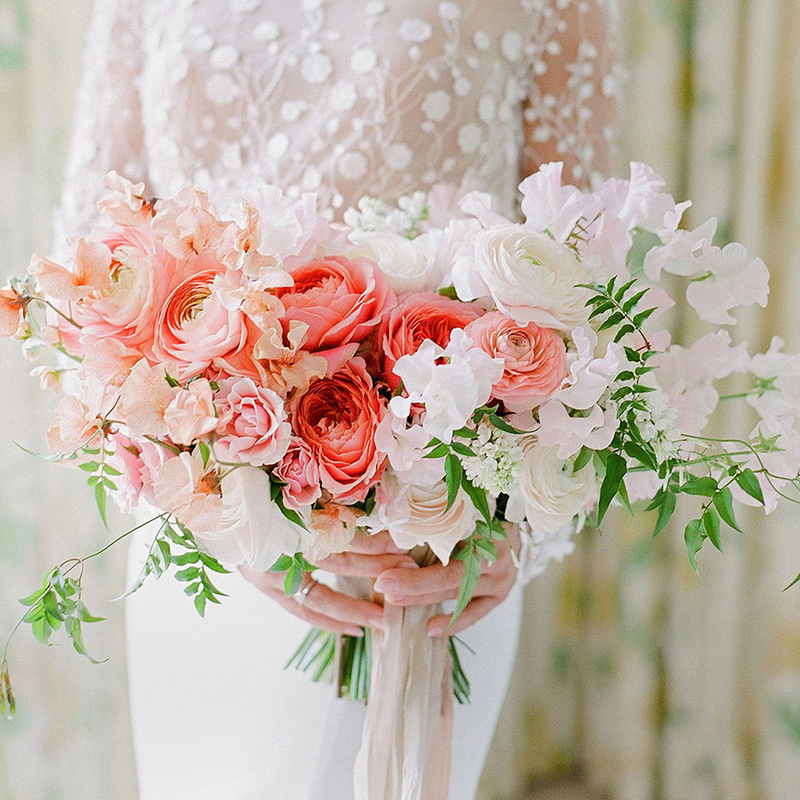 Include beautiful blooms in your wedding bouquet – we love this coral and white design that’s freshened by flecks of greenery. 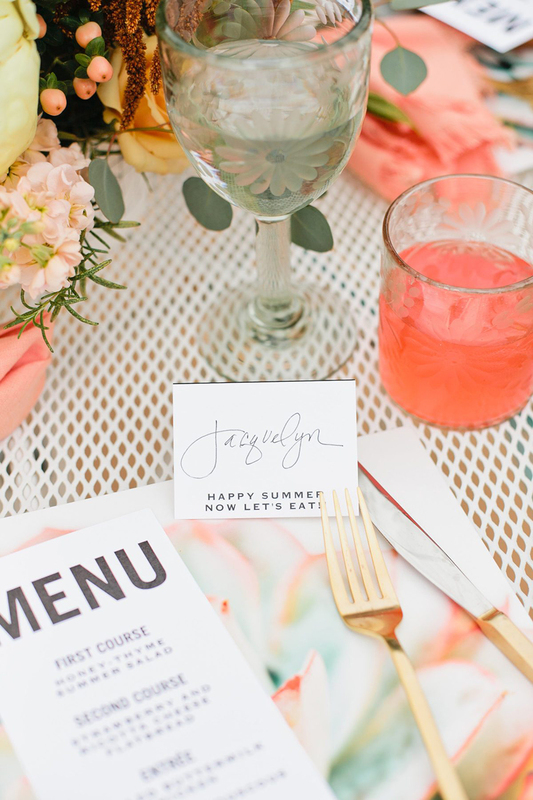 Living Coral is definitely a colour that would work with a spring or summer date, so take a look at our top tips to get a glorious garden wedding theme and combine the two!